Dedication of the new field house, commons area and administrative offices was held September 16 on a beautiful but hot Sunday afternoon at the new north entrance of the school. 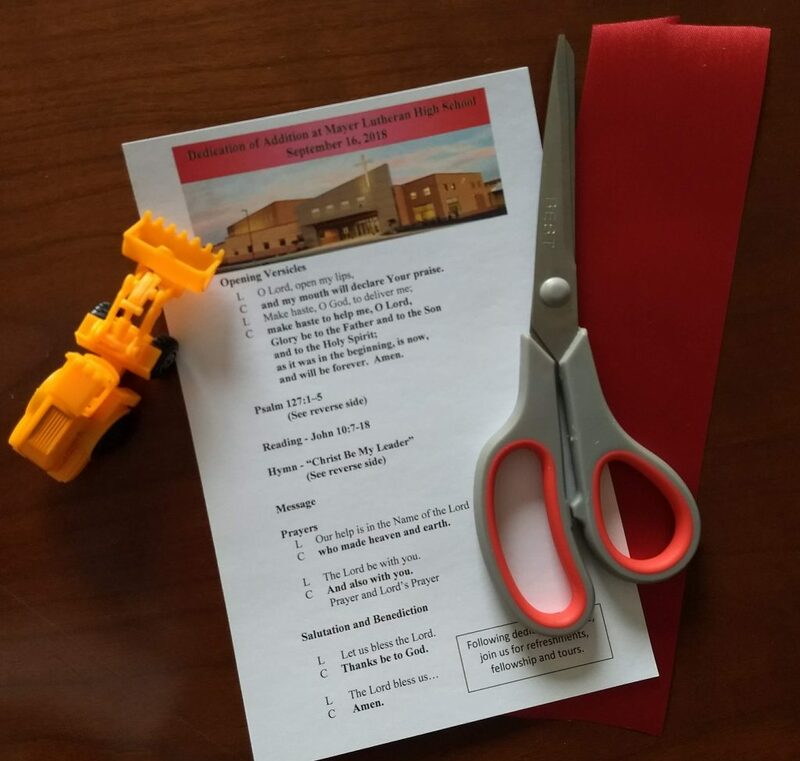 Thank you to everyone who attended the dedication and open house, to all who worked to put the event together, and to all the committees, workers, staff and supporters of Mayer Lutheran High School who helped make this day a reality. To God All Praise & Glory!